The holidays are a special time. The kids are out of school, the big kids take some time off from work and families get a chance to play together. We’ve had some fun this past week getting out into the backcountry with various families that have come to Sun Valley for the holiday. 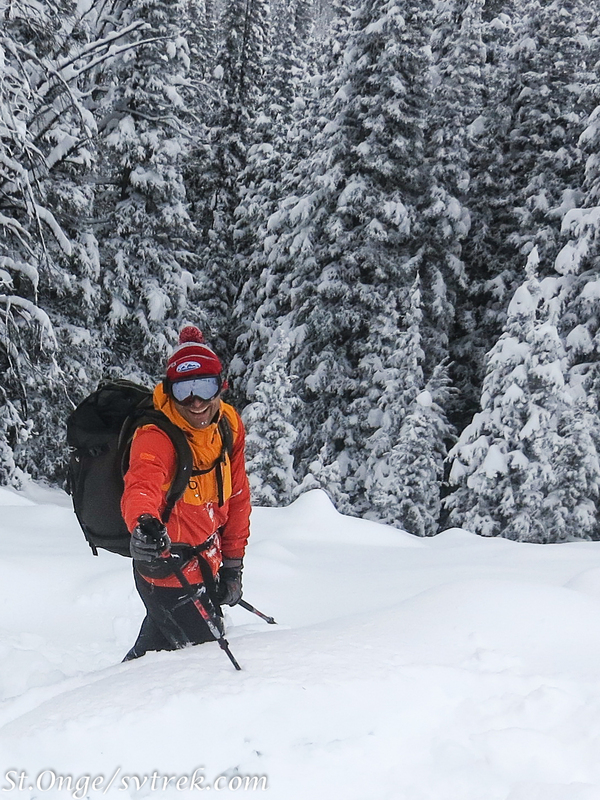 Yurt trips, powder day tours and good times unplugging, climbing mountains and sliding down. This is what makes for great experiences and memories that last a lifetime! We hope you and yours can make some time for such adventures in the new year. 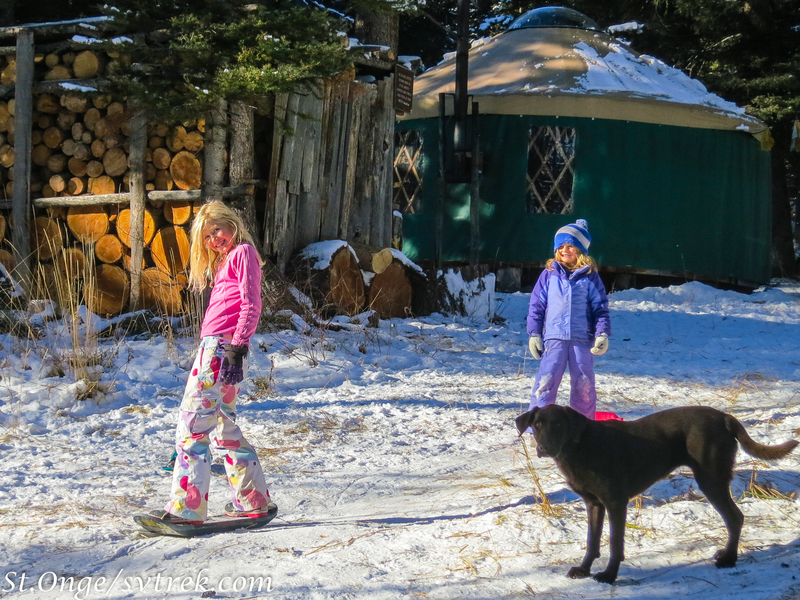 We are just returning from a hut to hut tour between Coyote Yurts and the Tornak Hut. 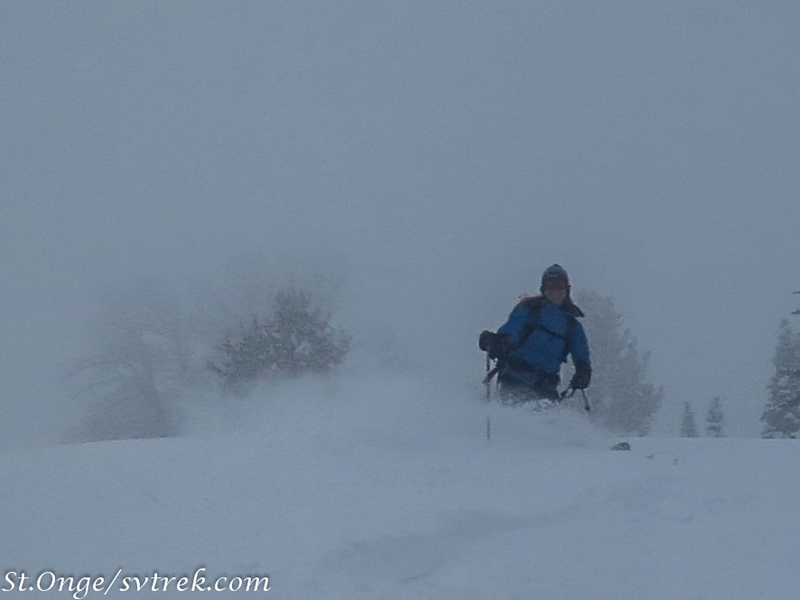 While the valley approaches are relatively thin snow, it is quite supportable and allows for quick and easy skinning. 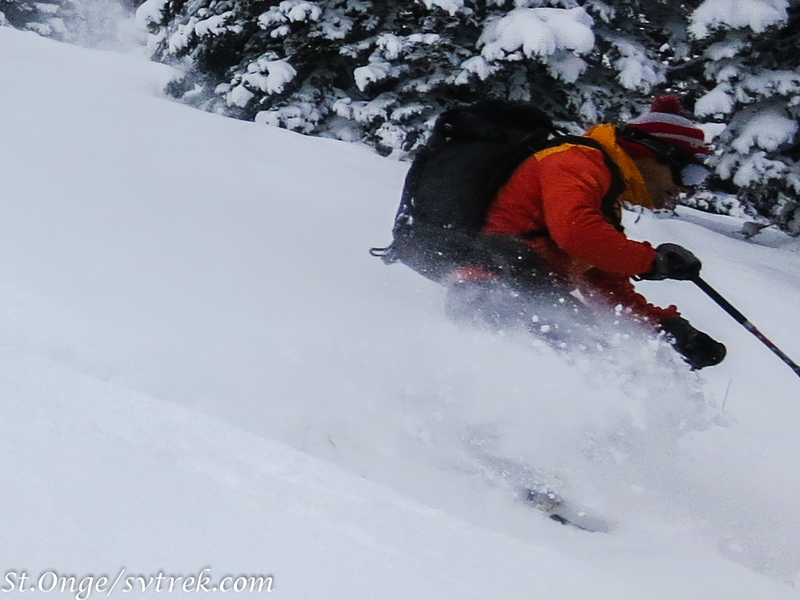 Once above 8500′, the snowpack gets deeper and we were finding good to very good boot-top powder skiing on cold aspects (East-North-Northwest) and even skied a run of corn on the south bowl of Fox Peak. Yep, corn in December! 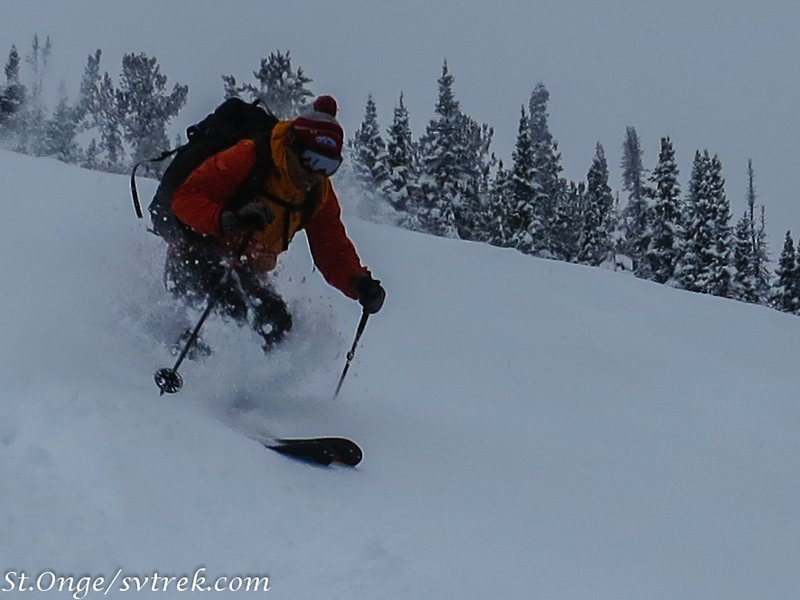 The Thanksgiving rains, early December powder and the past 2 weeks of high pressure (with inverted temperatures) have made for some of the most unique early December ski conditions we have seen. The snowpack and ski conditions resemble spring-just thinner. It’s not really a bad thing, although we would welcome a 3 foot storm of cold smoke! Skinning is easy, the pack is supportable and the stability is generally good. We are seeing snow depths of around 1 meter above 8500′ in this zone (on cold slopes) and around 50-60cm of supportable melt/freeze (corn!?) on warmer aspects. 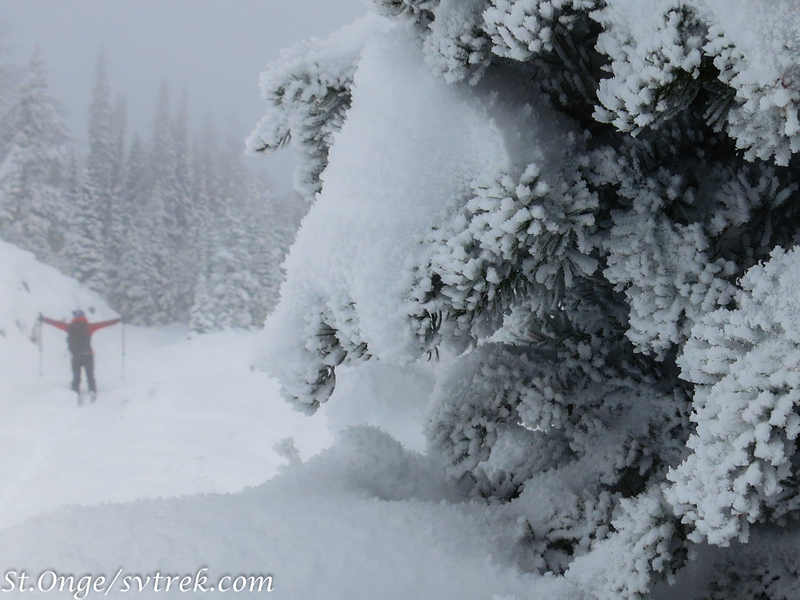 Both Coyote and Tornak Huts are looking great and awaiting more skiers to enjoy their cozy confines. The new sauna at Tornak Hut is fantastic! Laying on the top Sauna bench while gazing out the window and catching the alpinglow lighting up the Boulder Mountains is quite a way to top off a ski day. Come on Up! It’s a powder skiing palyground out here! Where to next? Let the signs point the way! Who says Tele is dead? Miles sure doesn’t think so! Solid quartzite and an awesome backdrop! When the forecast called for temps to rise into the 90’s in the valley, SVT guides Joe St.Onge and Patrick Graham decided to go high. For years, we have been looking at the north wall on Cobb Peak(11,644′) above the Pioneer Yurt and wondering if the rock was good. The north face of Cobb is a massive rock wall, rising 1000-1800′ from the alpine basin and comprised of ancient quartzite rock. Quartzite is an interesting and beautiful rock type, created when sandstone is metamorphosed under intense pressure and heat. Extremely dense and compact, the quartzite on Cobb does not give continuous crack features for a climber to follow. Instead, there are varied slabs, blocks, corners and aretes that can be linked together with generally good to very good rock. 5 years ago, Patrick and Joe climbed the direct North Face in alpine conditions, climbing neve, rock and water ice to the summit (the Solstice Line) and found good rock and a spectacular setting, creating an desire to venture on a rock route. This 1100′ climb generally followed slabs and corners into a short chimney (5.8) and then onto the skyline ridge. The “Buccaneers Route” (5.8 III) had a couple 5.8 moves but was generally in the mid 5th class range. Fun stuff! The “Buccaneers Route” roughly follows the red line (the first 5 pitches) with the upper 4 pitches on an exposed 4-5th class ridge not visible. Peaks, Wild Flowers, Water Falls and Wild Life: The Pioneer Yurt is Open for the Summer! We have just returned from the lofty Pionneer Mountains, high above Sun Valley. SVT guides: Joe St.Onge, Jon Preuss and Everett Coba trekked into the Pioneer Yurt to open the hut for it’s inaugural summer season. The trail in was cleared of downed timber, outdoor benches and a beautiful fire-pit were built and the yurt was set up for summer living. After the work was completed, the peaks called for a journey into the alpine. We completed a mixed ascent/traverse of Cobb Peak, climbing perfect frozen snow/neve and aesthetic alpine rock. A classic alpine climb! We hope the word gets out out about the Pioneer Yurt and the world class opportunities for wilderness, beauty and adventure that await visitors. The Yurt is open for reservations to both guided and self guided (DYI) groups throughout the summer and autumn seasons (and winter of course!). This is the ultimate adventure base-camp with cozy accommodations in the midst of pure alpine awesomeness. It’s not uncommon to find lady bugs, gathered by the 100’s at the very summits of these 11-12,000′ peaks. This old porcupine has been chewing on the wood exterior of the sauna for years. I caught him in this photo when he was on his way over for his evening chew…. 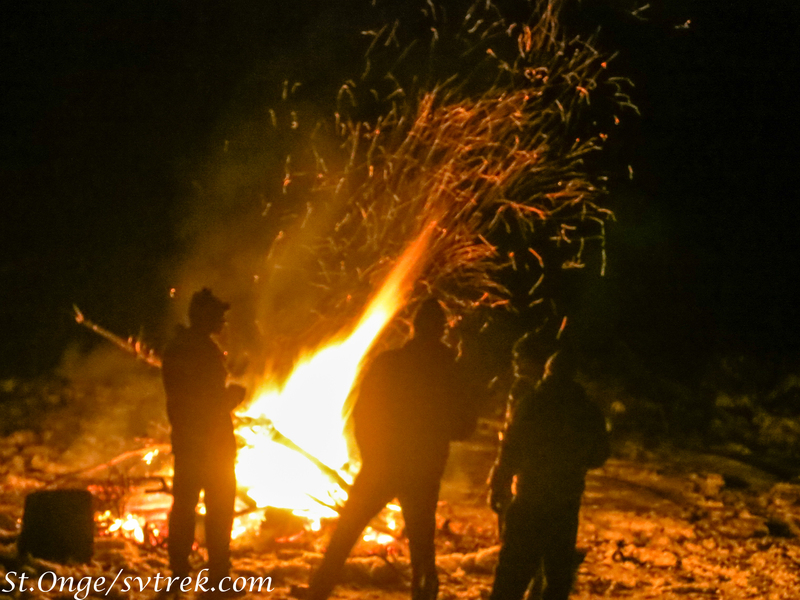 What a great week we had at Tornak and Coyote huts with a group of doctors from Wilderness Medicine Society. 7 doctors, all graduates of the Diploma in Mountain Medicine program, joined SVT guides (Joe St.Onge and Chris Marshall) for a week of mountain medical and rescue training. The first 2 days saw an “atmospheric river” dump 2′ of snow and create perfect conditions for stability evaluation and deep powder skiing. It was a real honor to spend a week training, skiing and enjoying the deep mountains with such a motivated and talented crew of docs! SVT Guides, Chris Marshall and Joe St.Onge, are just back from a quick 2 day trip into the Coyote Yurts with a fun group of local skiers. Sunny skies, warm temps, settled powder and some of the first corn turns of the season were enjoyed by all. What a place to call home! From cold to hot, the dash gets faster! 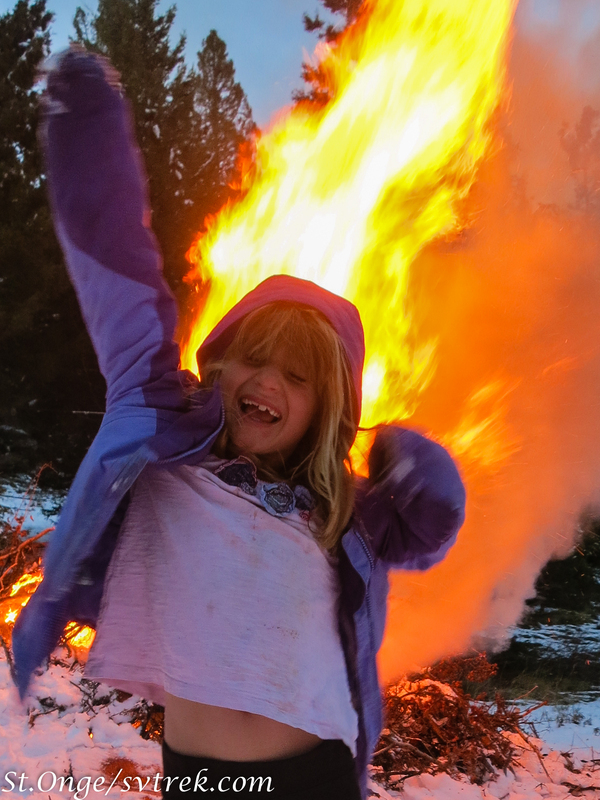 At the start of every winter season we celebrate the coming of winter with a BIG fire. We honor the change of the season and the coming days of arcing down mountains on skis. We honor the Norse God Ullr, known as a great skier who would leave trails of stars behind his skis and drink to his health with hopes he will smile upon us. 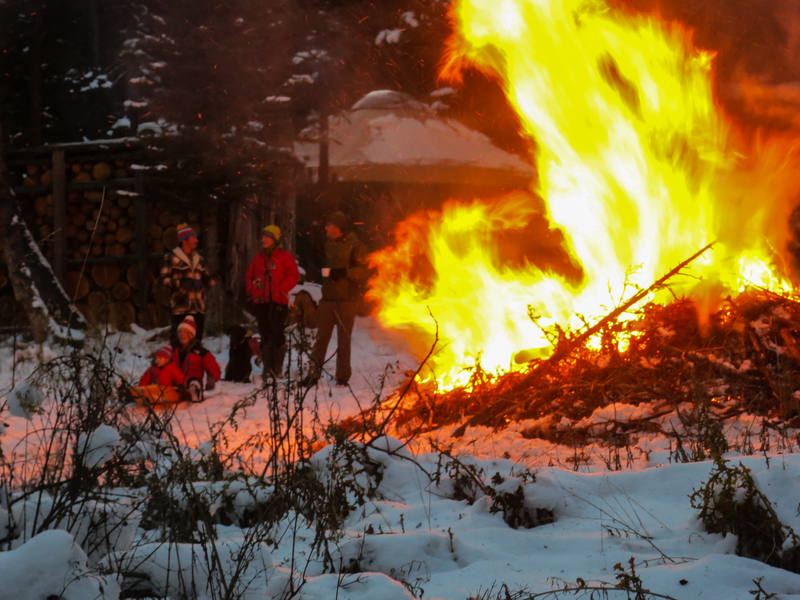 This year we had the annual Ullr fire up at the Boulder Yurts, where we had a giant pile of slash from recent woodcuts. Friends, family and guides came to celebrate the new snow and the joy of the coming ski season. And an early season it has become. 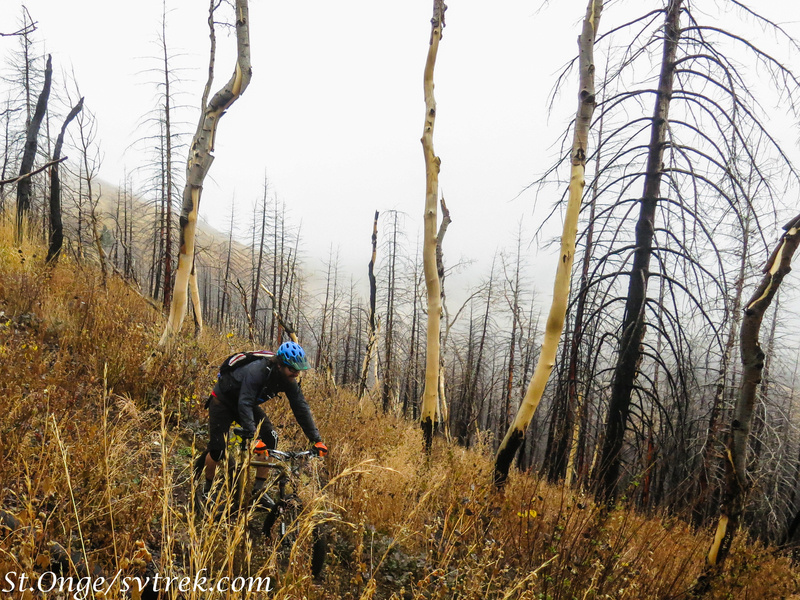 On November 1st, we were riding bikes in the spitting snow and by the 4th, we were floating down fields of powder on skis. 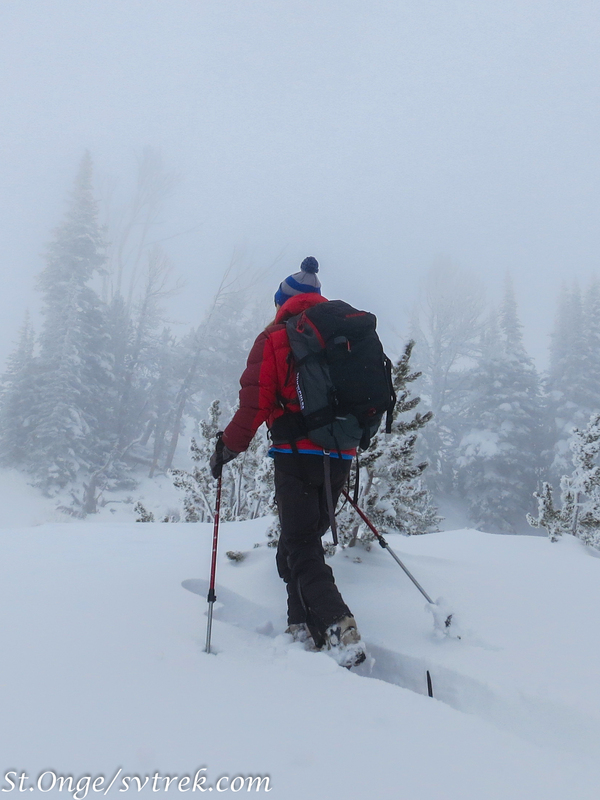 The recent storm dropped snow to the valley bottoms but favored the upper elevations in the Smoky and Boulder Mountains with over 20″. This storm snow has settled significantly this week, hopefully creating a good base for our next storm predicted to drop 5-10″ in the next 48hrs. Hopefully this portends the start of an epic ski season where we can all celebrate with Ullr! Ahh, back on skis. Francie breaks trail with a smile.